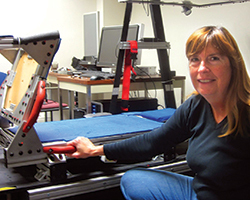 APS Fellow Mary Kaiser’s research domain is literally out of this world. NASA’s Mary Kaiser applied perceptual psychology to the Constellation spacecraft design to improve astronauts’ ability to read displays during massive resonant vibrations produced during launch. Working at NASA, Kaiser has employed a combination of behavioral science and engineering expertise to study how to make astronauts’ lives easier. One example of such knowledge involved an applied science problem that was successfully solved by a collaboration of engineers and psychological scientists: As developers at NASA work on the next generation launch plan for the Constellation spacecraft, they have found that a side effect of the launch — resonant vibration — is preventing astronauts from being able to make split-second decisions about whether to abort a mission. “As a solid fuel rocket burns out its fuel, it creates this resonant vibration. It gets pretty intense, especially as you get to its fifth segment; the rocket’s almost acting like a pipe organ at 12 Hz,” Kaiser explained. This vibration was making it difficult for astronauts to read the control panels that displayed vital information about whether the launch was progressing safely and successfully, and thus, whether they should abort. Kaiser explained that her team’s solution could be applied in many situations: “This would have broad applications — helicopters undergo a lot of vibrations when you go to full power, and this would be very inexpensive to implement in any display system.” NASA has patented the idea and licenses it to other companies that wish to use the technology. They also actively seek such partnerships, said Kaiser. The psychological scientist stressed that there is a learning curve for those who want to cross into nonacademic fields. “When we have young researchers join our staff — and unfortunately we have far too few of them doing that — their main challenge is to come up to speed with what the operational environment is like [and] what the challenges and constraints are,” she said. The difficulties that arise in a federal work environment can be very different from those in academia, and at times can be frustrating, Kaiser said. For example, NASA sometimes is reluctant to reexamine existing systems if they are not malfunctioning, whereas psychological scientists might be keen to find more efficient methods of operation. But there is a good reason for this discrepancy: When human lives are involved, the margin for error is much smaller. More than a decade ago, some of Kaiser’s colleagues attempted to design new cockpit displays to replace the outdated ones being used in the Space Shuttle — an important project because pilot astronauts with military backgrounds were used to newer display technologies than those from the era of the Shuttle’s original design. 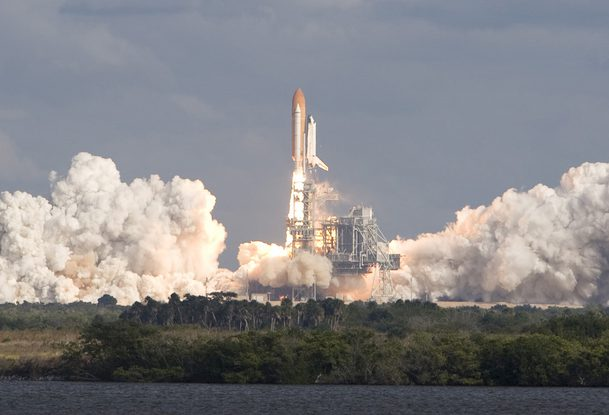 Financial and political considerations also play a role in the decisions made at NASA. The pipeline can move excruciatingly slowly, Kaiser noted, and even when a project is approved it does not always come to fruition. This doesn’t mean that psychological scientists in a nonacademic environment should stop striving to find creative solutions to the problems they encounter.